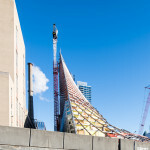 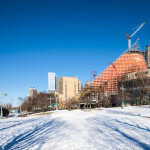 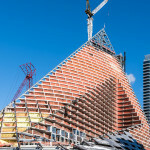 Pictorial> Facade rising at Bjarke Ingels' Manhattan "courtscraper" - Archpaper.com Pictorial> Facade rising at Bjarke Ingels' Manhattan "courtscraper"
One of the most interesting buildings to ever rise in New York City is getting closer and closer to the finish line. 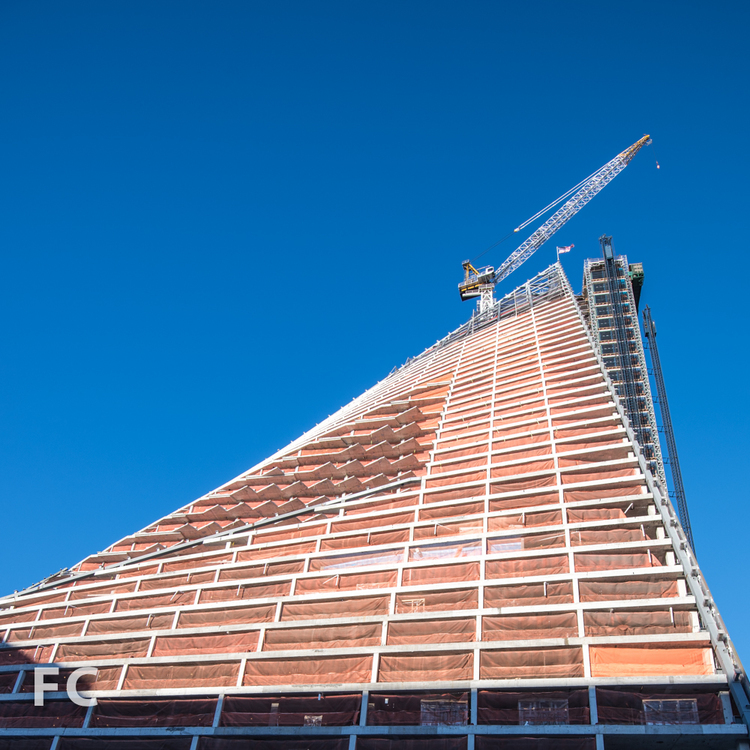 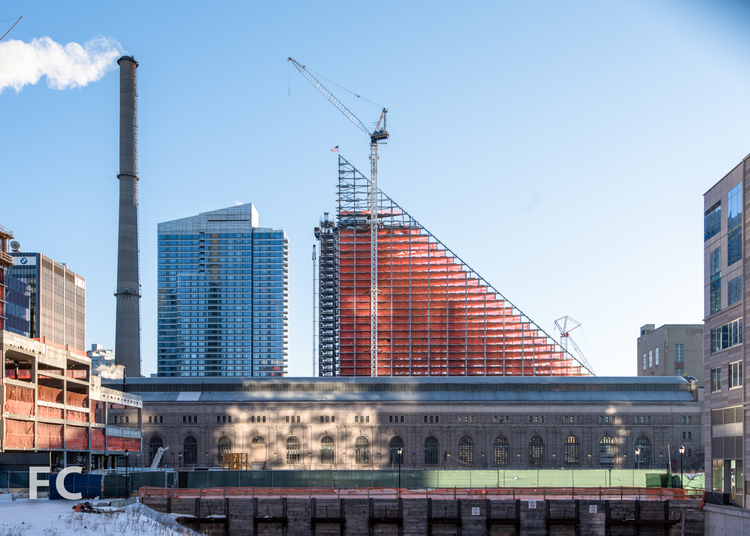 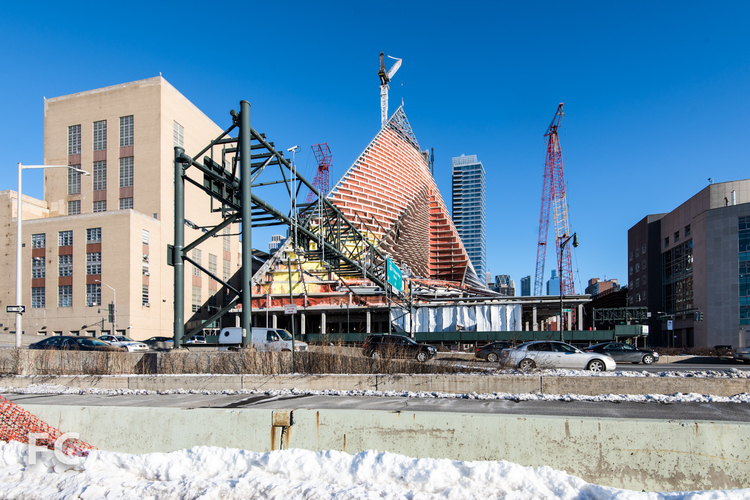 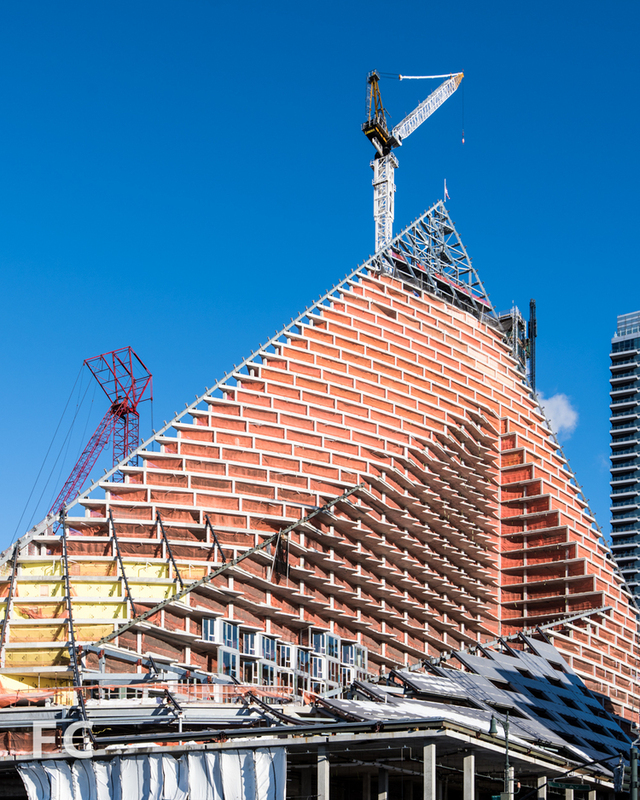 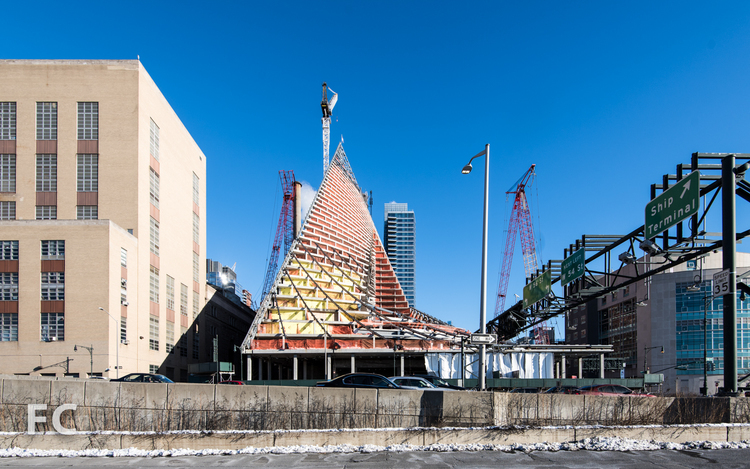 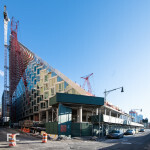 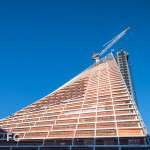 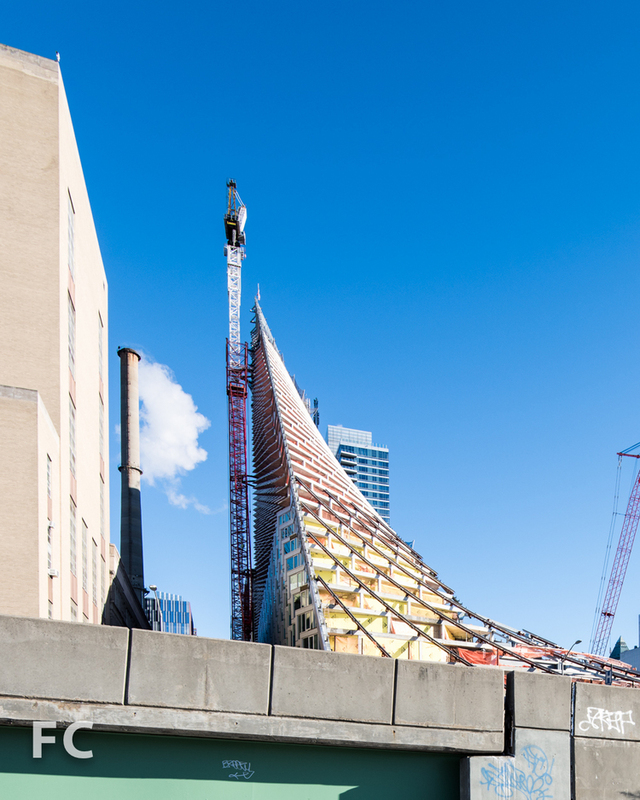 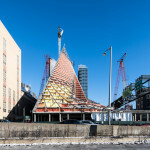 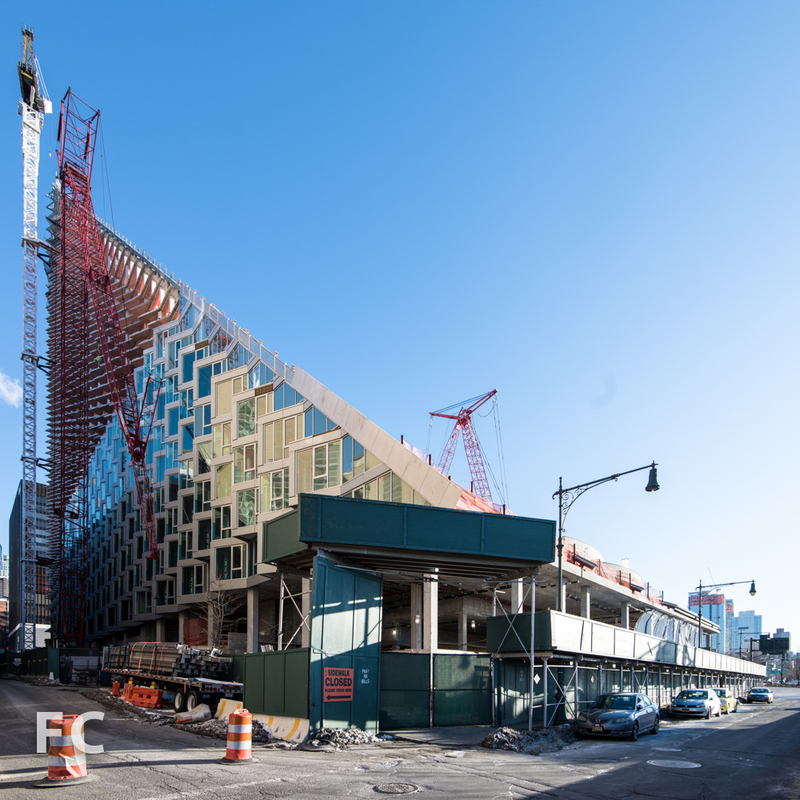 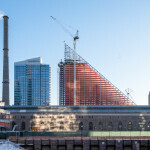 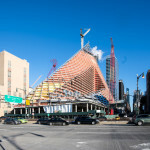 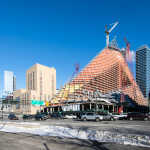 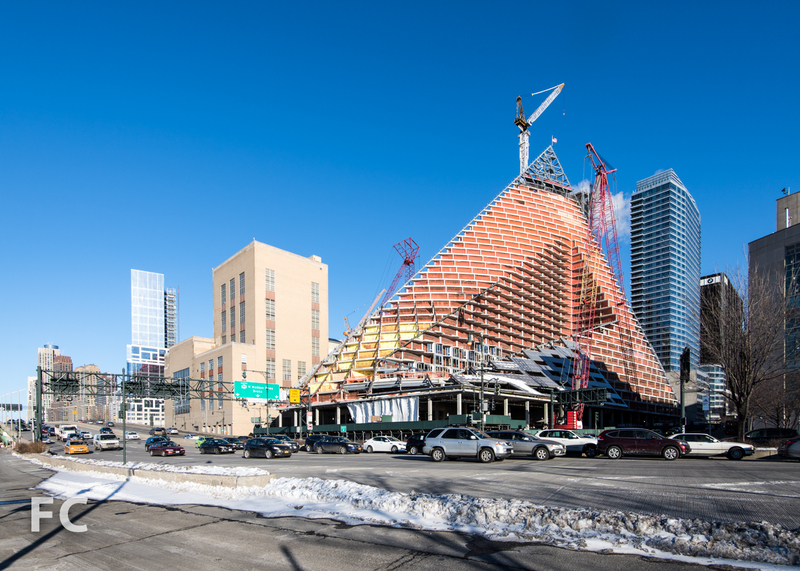 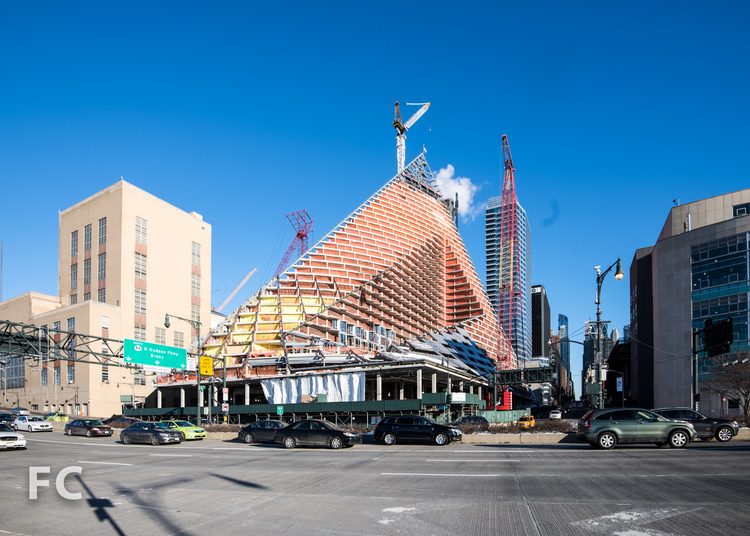 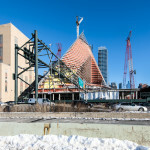 We are of course talking about W57—Bjarke Ingels‘ pyramid, or rather, “courtscraper,” on Manhattan‘s Far West Side. 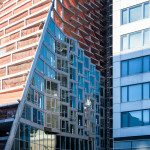 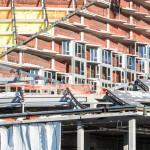 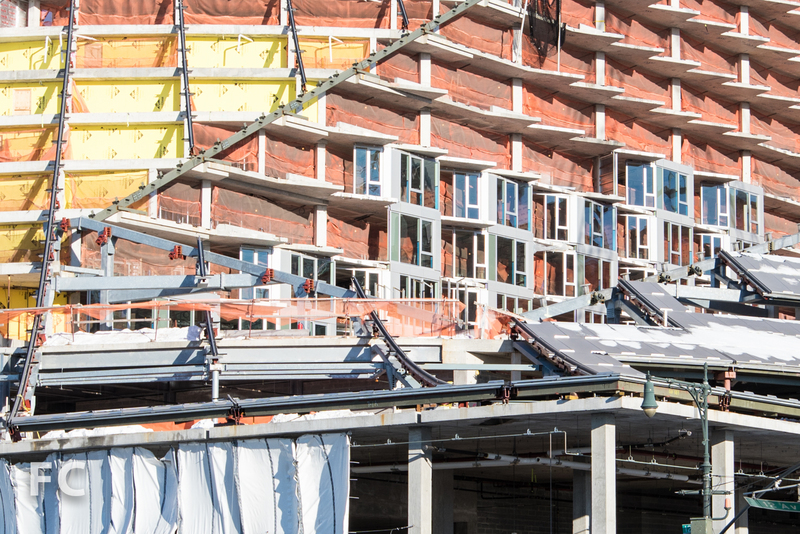 The rental building topped out at a peak of 450 feet last year, and now its curtain wall is steadily cloaking the building in a serrated wall of glass. 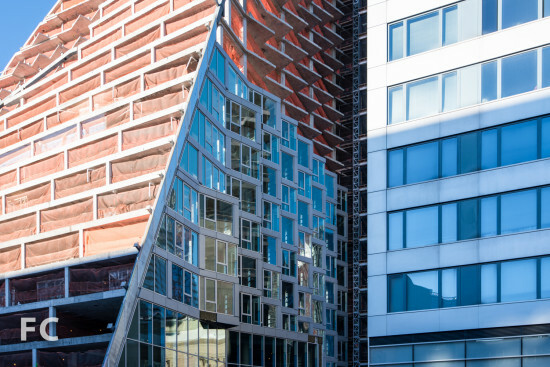 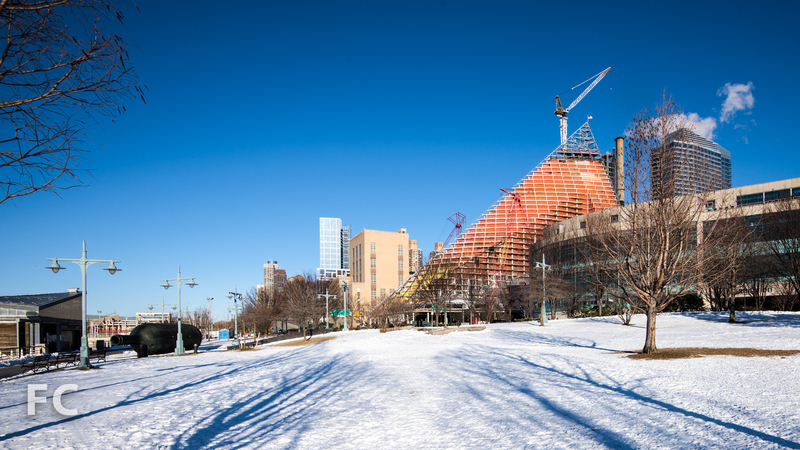 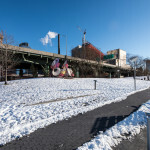 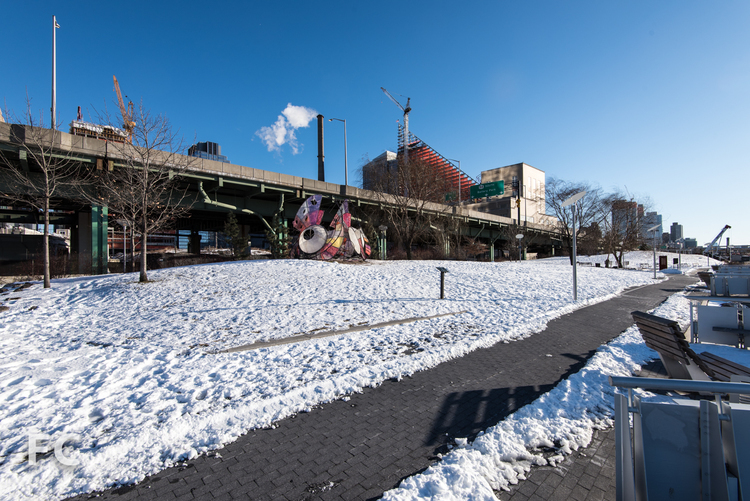 The building was slated to open this year, but according to developer Durst’s website, that has been pushed back to early 2016. Take a look at W57’s progress below, courtesy of construction-watching blog Field Condition which recently stopped by the site.